Swagger is that “je nais se quoi” that every badass man has (or that any man who desires to become a badass must develop). But what exactly is “swagger”? It’s a mysterious combination of many different things, such as charisma, non-verbal communication, mindsets, body language, mastery of social and interpersonal dynamics, and more. More importantly, why is it important to have swagger? If you want respect from others, men and women alike, and all the things that flow from having that respect, swagger is vitally important. 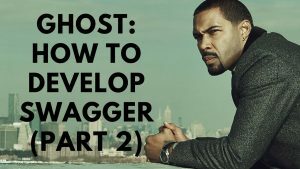 Here are two videos about a character, James “Ghost” St. Patrick from the TV show “Power”, who I feel is a walking and talking example of swagger. 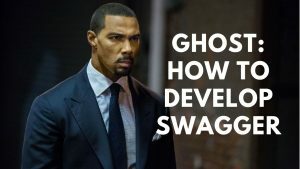 Ghost is a drug dealer/nightclub owner who embodies many of the different aspects of swagger. Other than Ghost, what other characters or real-life personalities embody swagger? Leave me a comment below and let me know!